Abila Fundraising 50 ™ is a fundraising management system that can help nonprofit organizations increase campaign effectiveness, easily measure campaign progress and deliver on your mission with ease. Imagine viewing and managing all of your development programs in a single system. You can also increase productivity of your staff by incorporating prospecting, donor cultivation and campaign-based fundraising with volunteer programs or other outreach efforts. 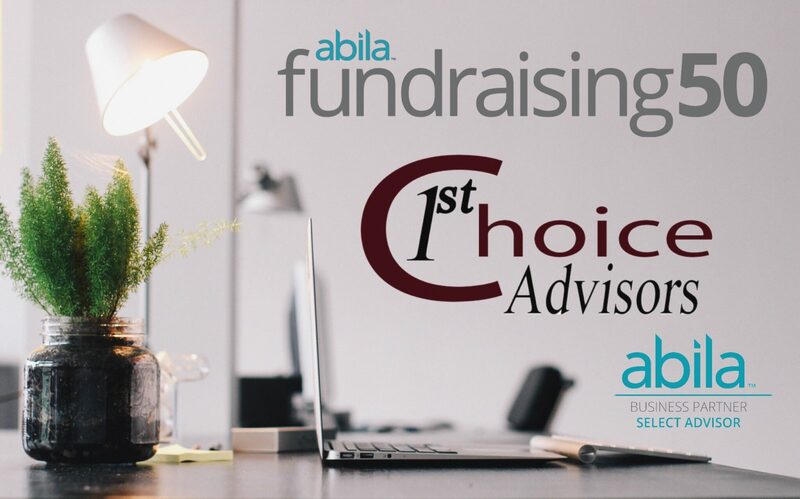 1st Choice Advisors is a Select Business Partner for Abila products and services. Our consultants have over 30 years of experience working with nonprofits; real-world experience with a variety of different types of fundraising needs and requirements as a result. We are rigorously training on Abila products because we spend up to 90 hours each year reviewing new functionality and training procedures. We are your go-to for service, and we also provide user groups, both online and in our offices. All things considered, your satisfaction and ability to get results is our main goal!